Christmas might be the happiest holiday of them all. It’s the time when people gather around, celebrate, and enjoy the precious time with their loved ones. It’s also the perfect time for wrapping up your Christmas tree with cute little ornaments, and making crafty gifts. Here are some easy crafting ideas for this holiday season. 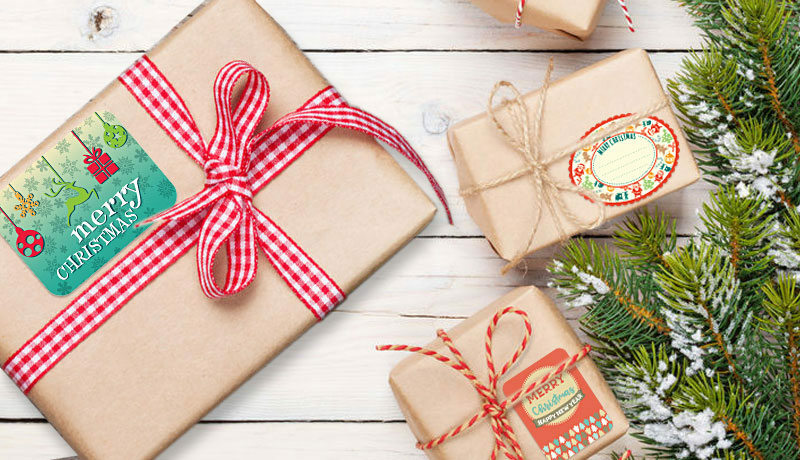 You can use these joyful Christmas printables to keep those crafty hands busy during holiday season. What’s Christmas without a Christmas tree? Although there are numerous types of ornaments out there, it’s always fun to think outside the box and create some yourself. You can give your Christmas tree a new look by making fun ornaments with the printables. All you need is a part of cardboard, and printed stickers. You can print the stickers on regular or sticky paper. If you print them on regular paper, you will be needing some adhesive, too. Cut some cardboard shapes, and apply stickers on them. Once applied, you can punch a hole, get some sparkly or textured ribbon and hang the ornament on your Christmas tree. Remember when you were a kid waiting for Christmas presents under the tree? Everyone loves presents, and the excitement of opening a gift. Once you pick up perfect presents for your close ones, it’s time for the next step – gift wrapping. When it comes to wrapping paper, there are endless options. You can use paper with vivid colors, sparkly or matte, holiday themed, or rustic. You can even use some cloth to add warmth to the gift package. After picking up the perfect cover for the present, it’s time to personalize it a bit. You can apply sticker on the package, and write a cute message. 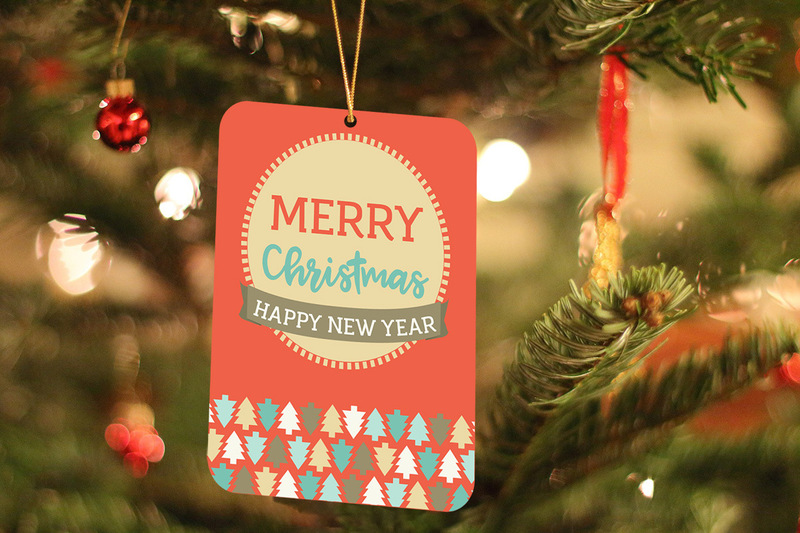 Of course you can always buy Christmas cards in the store, but if you are a bit more creative, you can personalize not only the message, but the card itself. If you want to send some handmade postcards to your friends and family, you can cut a piece of cardboard, and let your creativity off the leash. You can use buttons, ribbons, different materials, textures and threads. 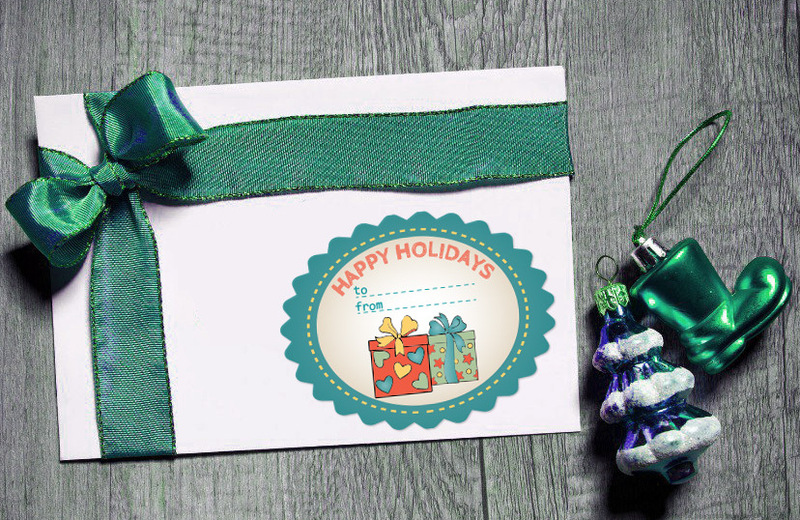 At the end, you can apply Christmas stickers to the card, and write a message with metallic or glitter ink pencil. It’s about time you started feeling the holiday spirit. Download these joyful printables, and start planning your activities and crafts for the merriest time of the year!